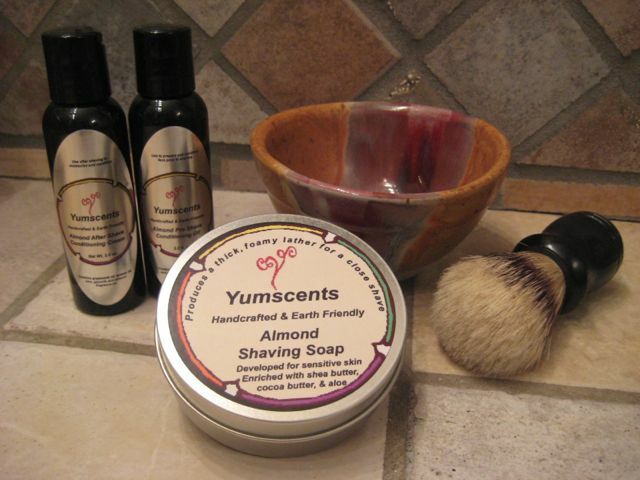 Beautiful handcrafted pottery shaving bowl or mug, shaving soap, conditioning oil, after shave cream, and boar bristle brush gift set. Boar bristle shaving brush makes it easy to produce loads of rich, creamy lather for a close shave leaving your skin soft and conditioned. Available in Almond, Eucalyptus, or Patchouli.